When a loved one is born with or diagnosed with any form of disability, it can be financially as well as emotionally overwhelming. A disability can come in any form, from being deaf or difficulty in hearing, physical disability to acquired brain injury, various vision Impairments, intellectual disability, autism spectrum disorder and/or mental health conditions, all which impact you and the whole family. Families often worry about how they can financially provide for a disabled family member or relative. A lot of these families are worried that an inheritance may place their family member in a vulnerable position or may even mean that their means-tested state benefits are cut. This type of worry weighs on the minds of families how their dependent will manage their financial affairs especially when they are older and may not be able to fend for themselves. There are various ways through which such worries can be take care of. One of the steps such families should take is putting in a place a legal arrangement to safeguard their future. This is a legal arrangement that allows a person or an organization to look after someone else's money. Setting up a trust means you can leave money for a disabled person without them having to worry about the responsibility. 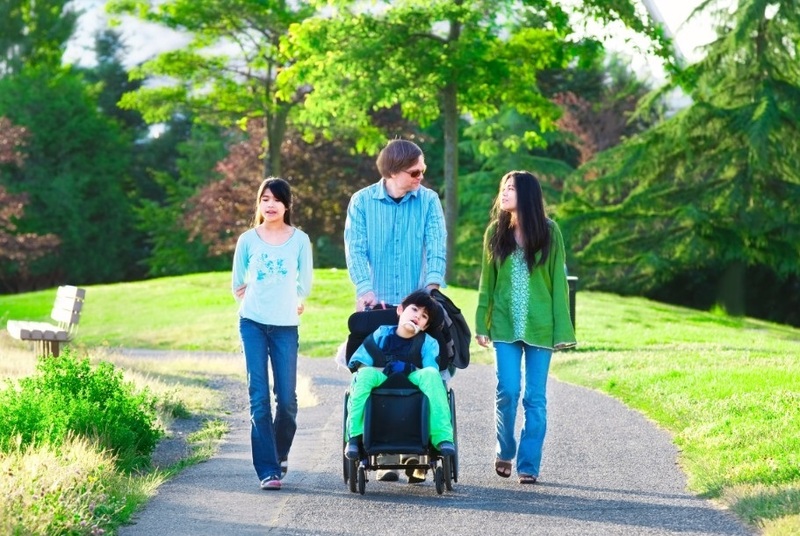 Families with disabled members as dependents should understand that the first step in creating a reasonable financial plan, is evaluating the monetary need of the disabled person which may include both future and present needs. Setting up a special needs trust is the best way to maximize all of the resources available to a disabled person, this can be done by a professional manager of special needs trust and delivered by a corporate trustee. This often serves as a long term financial backing for a disabled person. The implication of not setting up a trust runs the risk of having a trustee you didn’t choose being chosen to act in the event of any eventuality. This is why it is important you have all the necessary legal arrangements when you still can to avoid running into any such risk. Families who want to set up a trust need to get a good solicitor that possess the required experience in handling such cases. Families and parents can get solicitors who have the necessary expertise in areas of the law such as community care, benefits, disability discrimination and the question of capacity. A trust that is properly set up, ensures the disabled person is adequately provided for, also ensures that they continuously get the required support from the government. However, if they inherit all of the money themselves, they stand the chance of missing out on some of this support. When setting up a legal arrangement, you need to decide on the person that you want to use as a trustee. You can choose between one to four persons as trustees. To be on the safe side, it is advised to choose up to two persons and among both trustees ensure that you choose one that is not a family member this way you can have a person that can help in decision making. Should you need assistance with your financial planning for your family, please contact GPS Wealth Management to be your professional and financial resource with your family's needs.